published in official Gazette of India on 26th May, 2015 and thus it come into force on 26th May, 2015. 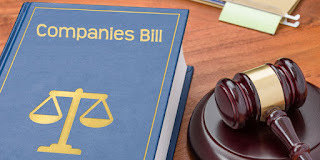 The amended law has inserted a new Section 76A after Section 76 which introduces penal provisions for contravention of provisions of Section 73 and Section 76 (pertaining to acceptance of deposits by a company) or rules made thereunder, or if a company fails to repay deposits within the time specified. i. In addition to the payment of the amount of deposit or part thereof and the interest due, a company shall be punishable with a fine which shall not be less than one crore rupees but which may extend to ten crore rupees. ii. Every officer of the company who is in default shall be punishable with imprisonment which may extend to seven years or with a fine which shall not be less than twenty-five lakh rupees but which may extend to two crore rupees, or with both. As per the amendment, no person shall be entitled under Section 399 to inspect or obtain copies of the Board Resolutions passed by a company under Section 179(3), filed with the Registrar under Section 117(3). Additional proviso has been inserted in Section 123 in accordance with which no company shall declare dividend unless carried over past losses and depreciation in previous year or years are set off against profit of the company for the current year. As per the amendment, the Report by the Board of Directors, in addition to others, shall also include details in respect of frauds reported by auditors under Section 143(12) other than those which are reportable to the Central Government. Further, the enabling provisions of Section 143(12) [replaced vide this amendment] prescribes a threshold (yet to be defined) beyond which fraud shall be reported to the Central Government or audit committee/Board, as may be applicable. Companies whose auditors have reported fraud to the audit committee or the Board but not to the Central Government also need to disclose details of such fraud in the Board’s Report. Vide the amendment; an audit committee may give omnibus approvals for related party transactions subject to conditions as may be prescribed. Section 185 of the Companies Act, 2013 deals with provisions relating to loans, guarantees and securities provided by a company to its directors or any other person in whom directors are interested. ii. 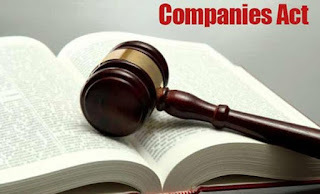 Companies which provide loans or give guarantees or securities in the ordinary course of its business. ii. Guarantee given or security provided by the holding company in respect of loan made by the bank or financial institution to its subsidiary. iii. Provided the loans made above are utilised by a subsidiary for its principal business activity.